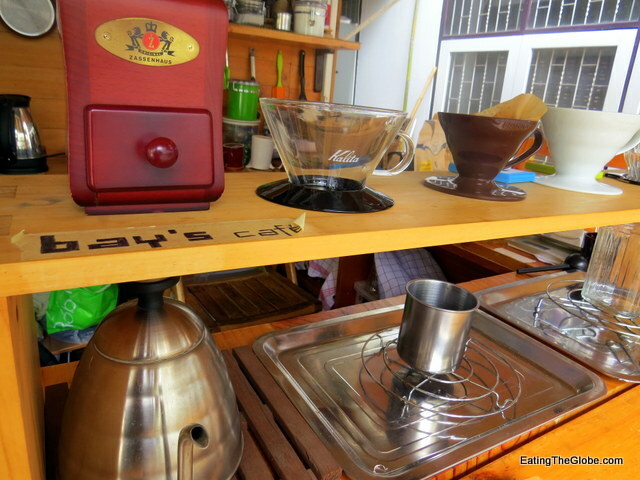 Two of the best spots in Chiang Mai, Bay’s Coffee and Food4Thought share an outdoor space just off Suthep Rd. Which is perfect really. I often find that places that serve great food here don’t do great coffee. Or the few coffee shops that serve really spectacular coffee, don’t have much to offer foodwise. So, I was thrilled to discover Bay’s Coffee and Food4Thought doing business together. I used to roast my own coffee, and it takes really good coffee to impress me. Bay’s Coffee doesn’t just impress me. It’s outstanding. Bay really knows his stuff. You can choose your preferred method of brewing from pour-over coffee, a French press, or the Aeropress. There is no espresso machine because Bay believes that you can best taste the coffee when you drink it as regular coffee and not as espresso. He also feels like he has more control with the tools that he uses to brew your cup. 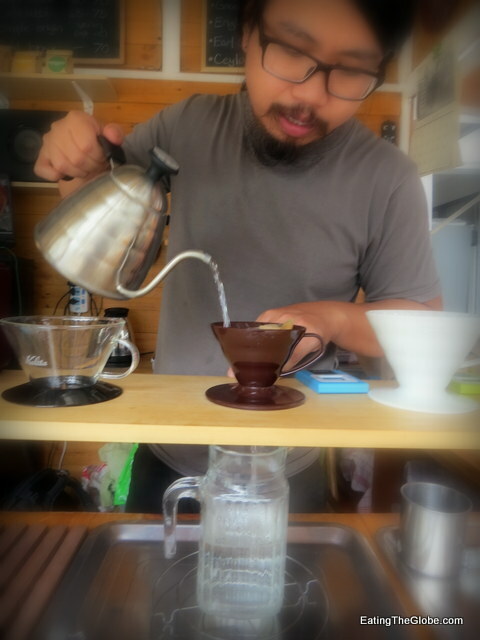 What I am most impressed by is that he grinds the beans for every cup by hand!! I do this myself every morning, but I’ve never heard of a coffee shop giving this kind of meticulous service. He has many single origins to choose from, and will give you a good description, or a taste, of each one! Don’t worry, you can get a latte (dairy or soy) made with the regular coffee, too. I know, I know, it’s not really a latte unless it’s made with espresso, but the coffee he uses is high quality, so give it a try. 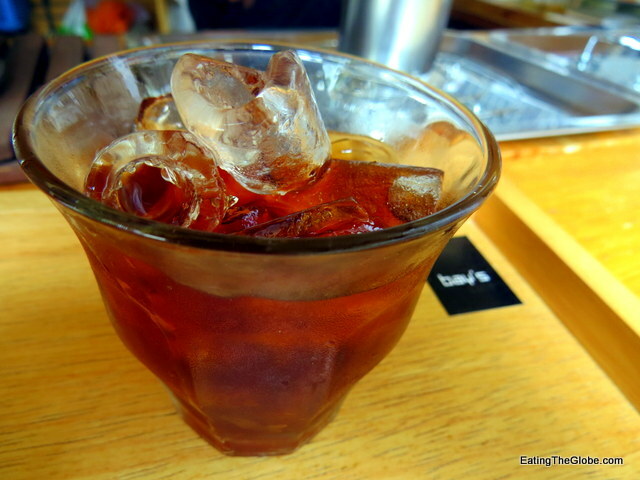 I enjoyed Bay’s iced coffee the best. 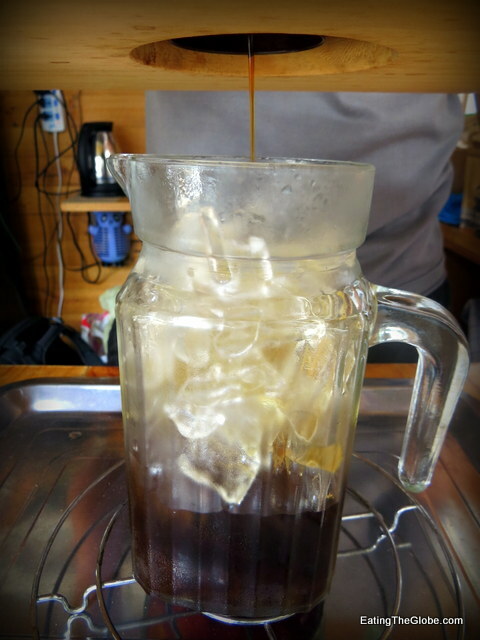 He uses a special technique of letting the coffee drip right into the ice, so it doesn’t lose any of its brightness. (Notice how a lot of iced coffee tastes almost flat). It was so good, it didn’t even need ice or sugar! 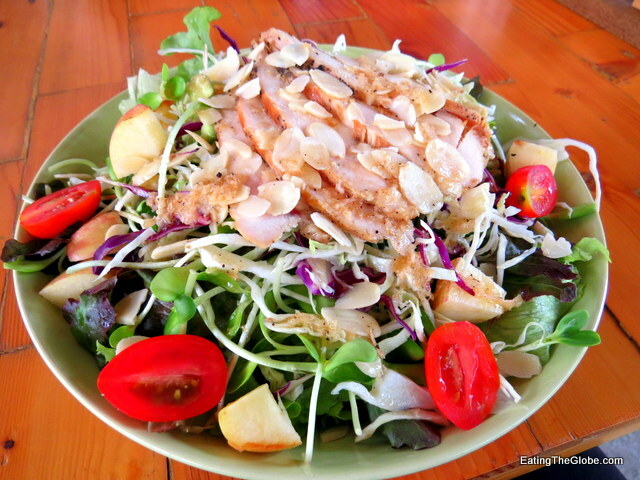 As for Food4Thought, they have the best healthy food that I’ve had in Chiang Mai. I like it because their menu is creative. Many of the vegetarian and healthy restaurants I’ve sampled have a similar menu where the only thing different is the name of the restaurant, but Food4Thought has some outstanding choices. Their salads are, hands down, the best salads I’ve had anywhere. I had the cinnamon ginger chicken salad on one visit. I loved the sunflower sprouts and cinnamon ginger dressing. I did notice that you won’t always get exactly what’s on the menu. For instance, there were none of the housemade croutons that were promised. Some of the others salads they offer are a spicy fish salad, a tamarind shrimp salad with asparagus, and a harvest salad with chicken, bacon, pumpkin, apple, and candied pecans with a balsamic honey dressing. Don’t miss their wraps, either. They bake the bread for them in-house and I’ve had both the spinach and pumpkin and they are amazing. 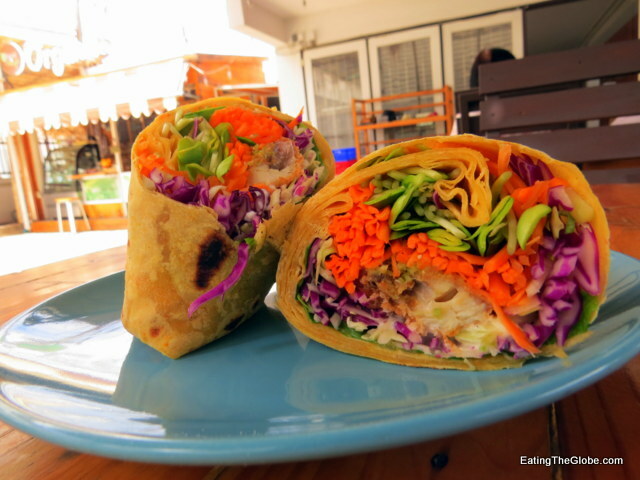 I tried the nam jim wrap made with crispy fish and served with spicy nam jim sauce. So flavorful and healthy, too! Food4Thought also offers regular sandwiches, soups, and even breakfast! Their prices are good, too with most items being 100 baht (around $3 US). 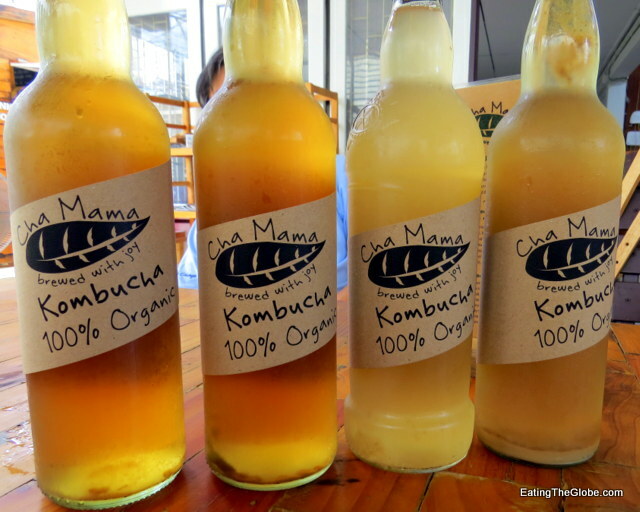 To quench your thirst, they offer kombucha in seasonal flavors (I loved the ginger), kefir, herbal juices, smoothies, and beer and wine. Also, don’t skip dessert. I had the raw mango cheesecake covered in coconut. However, if you do want dessert, order it at the beginning of your meal. They keep it in the freezer, so when I ordered it, it was served rock hard. They also have a gluten-free chocolate cake which I haven’t had a chance to try yet. I think that Bay’s Coffee and Food4Thought make brilliant partners, so if you’re looking for creative, fresh food and a stunning cup of coffee, this is your place! Want to take advantage of the most delicious Thai food? I recommend the guide Eating Thai Food! Like this article? Subscribe and never miss a post! 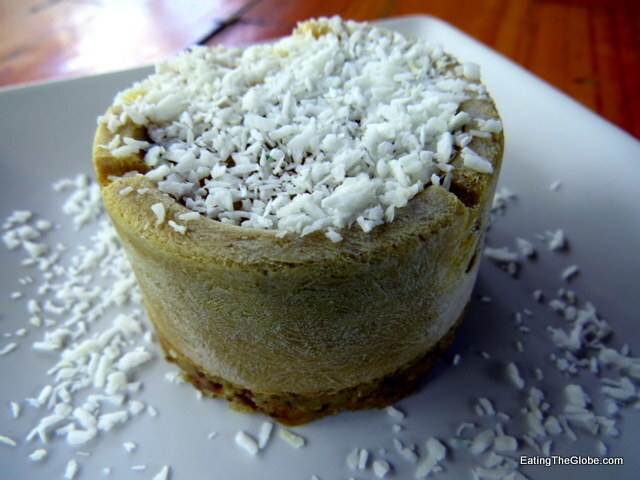 4 Responses to "Bay’s Coffee And Food4Thought: Two Places You Shouldn’t Miss In Chiang Mai"
That raw mango cheesecake covered in coconut looks delicious and definitely my kind of dessert and I love the technique of dripping the coffee even though I never had an iced coffee done in that way. 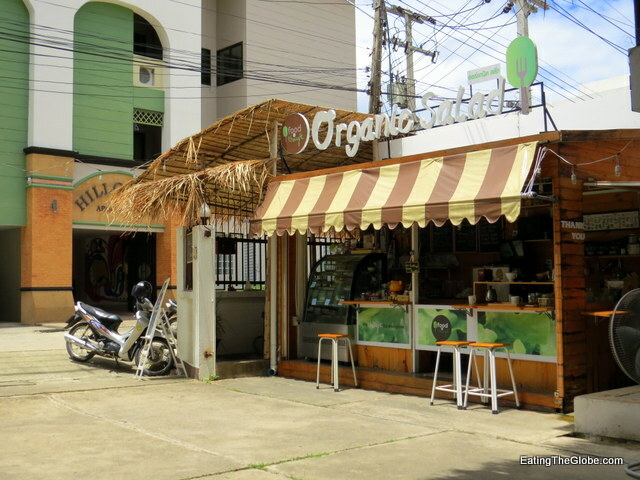 How did we menage to miss these two places whilst in Chiang Mai? The food looks delicious and at a good price! 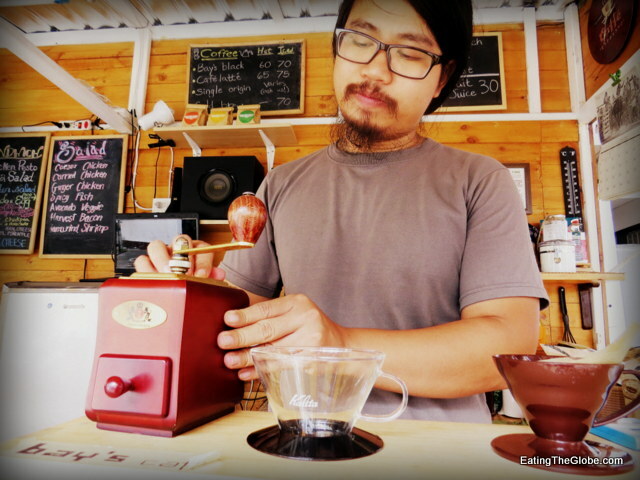 Very cool that he grinds the coffee by hand! Thanks for sharing! The food looks sooooo good. I am so hungry now. Valen Dawson is a food and travel writer who wants to show you not just where the best places in the world are to eat and drink, but also what foods you shouldn't miss, the best markets to shop at, and the most interesting stories to go along with it all. Menu's are her maps and she's ready to show you the way. How To Send Money Abroad?